I absolutely loved the original Thurston character, but he seemed incomplete. So today’s drawing was a no-brainer, draw the whole Thurston…or perhaps his brother, as Thurston didn’t have a scar over his eye. 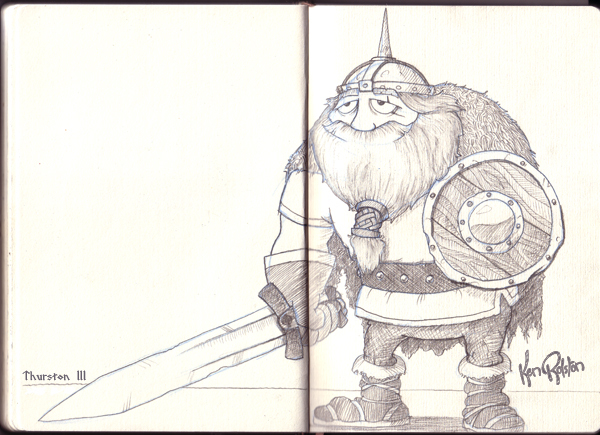 After working on the ‘viking’ characters, I can only imagine how much fun the designers had working on “How to Train your Dragon”, dragons and vikings…that would have been my dream project right there.